For the next reissue I’m turning to 2003 EP ‘No More Roads’. Because I’ve chosen to reissue these things in reverse order it’s very confusing to spell out how many ways this record was the first and last of various things. 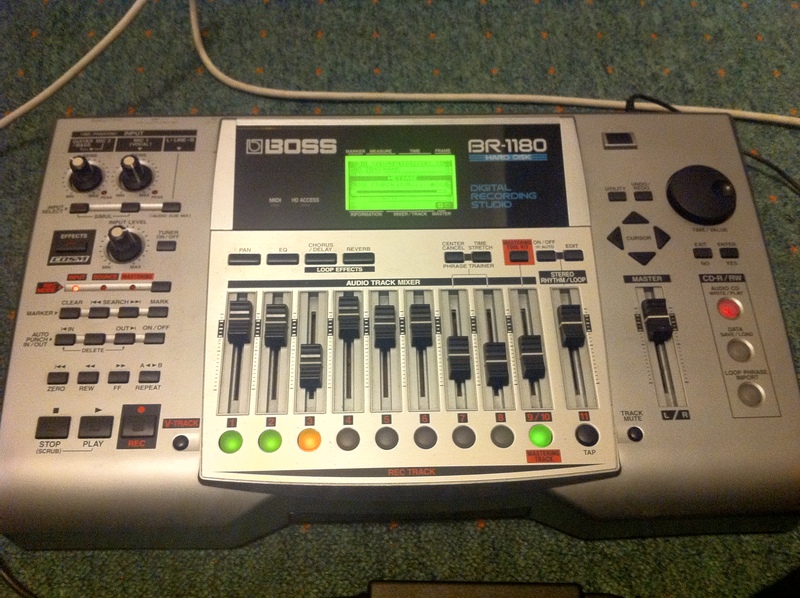 It was the last record I made at university, the last record to be predominantly acoustic, and the first one to be recorded (mostly) on the BR1180 which everything uploaded to date was done on. It’s also the last one, from your point of view, that I consider to be well…. actually, properly good. Sure it’s rough, the recording is a bit yucky in parts, all the stuff that, if you’ve stuck with me thus far, you’ll be well used to. But this is a decent set of songs start to finish. Nothing on there that I’m not proud to call my own. As future EP’s come along I’ll be cringing a little at some of the songs. But we’ll worry about that next month…. So, context. I started work on it in Bolton in summer 2002, carrying on during my last year in Aberystwyth as an undergrad. Living in a terraced house near the seafront I think you can hear cars and seagulls if you listen very hard. Lyrically there’s lots of future-gazing. I was in a period of, for me, quite deep contentment – having settled into a number of nice little networks of friends and keeping very busy with lots of things I enjoyed and cared about. A deadline was looming at which it would all be coming to an end before I was ready. Like anyone in their final year of university I guess. The title was taken from a joke my friend Stuart made about launching a protest movement called ‘No More Roads’ which would oppose the building of any new roads under any circumstances (yeah, we were students… it was that kind of ‘joke’). So it was a jokey title, but I worked it into the lyrics in a more serious way as well. It was ‘released’ sometime around April 2003. There were probably about 30 copies. It was the second release to feature a unique photographic print on the cover. Featuring myself and two friends who had sung backing vocals on ‘Matthew/Mark’. This was the first time anyone else had appeared on a PWL recording. An odd time signature guitar riff inspired by an unreleased Pavement song (points if you say which one). As with many things I wrote about at the time the lyrics are looking to the future and the uncertainty of becoming an adult. Would I change who I was with the creeping onset of maturity? I’m still asking myself that question. This was a ‘single’ the previous Christmas dished out to friends. Continuing my foul mouthed tendencies at the time I don’t think the lyrics were really meant to be taken as a whole. Just a sort of steam of consciousness sloganeering thing. I think musically I was going for something White Stripesy. This was written for a friend of mine. It’s sort of about things which were going through her head at the time and it’s not really fair to say much more. I’d sent her an earlier recording the previous summer and she’d commented that the bit in the middle reminded of her of Satellite of Love by Lou Reed, so on this version I made it sound even more like that. This was the first song I recorded on the new portastudio. This is officially the first ever Pagan Wanderer Lu song. It was the first song I played at my first PWL gig, and it was the first song on my first EP. This is a re-recording with some piano and extra backing vocals. I would happily play this song today, as a statement of intent it pretty much remains unchanged and aside from a dodgy line or two I think it’s stood the test of time. My indiepop hit that never was. I think the later version on ‘Build Library Here (or else! )’ is a lot better. A simple two chord punky song that gets faster. The song was written about the time we were preparing for war in Iraq and was built around the deliberately fanciful notion that the whole thing could be prevented by simply shooting George Bush and Tony Blair in the head. I always imagined the protagonist of the song (for it is indeed a work of fiction, oh CIA agents scanning blogs for credible threats) as some sort of slightly past it hippy fellow in a dressing gown sat on the sofa ranting at his TV next to a pile of pizza boxes. Slightly shrug worthy instrumental using the Roland D2. The title was a reference to being asked to do various film soundtracks by film student friends. Including one who informed me at about 11 in the evening that he needed it by the next day. I delivered, and to be fair the film was pretty good. Wonder if it’s on YouTube? The second substantially electronic song I wrote. Again using the D2. Someone long ago compared this to Death in Vegas but I don’t know enough about them to know if this is accurate. This is another one from the more oblique style of lyrics that I used to write more of. Kind of like to keep it that way. I’ll come clean. This song is a straight rip off of a Canadian band called Molasses. Right down to me adopting a slight Americana accent. It’s also mostly a long ebow solo. Nice though. This was an untitled hidden track on the original CD, but I saved it on the 8-track as ‘PWL Blues’. A slidey blues thing addressing my plans to ‘head down south’ and move to Brighton, which I indeed did. More of the ‘growing up’ anxiety in there too. 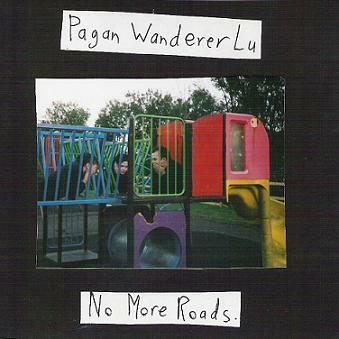 This is the only Pagan Wanderer Lu song to include the words ‘Pagan Wanderer Lu’. As an utterly geeky aside this is also the only recording I’ve chosen not to upload exactly as it was originally released. For dull reasons the original CD of this went via a computer and as such all the copies had that distinctive ‘lossy’ wibble running gently in the background. For this reissue I’ve made a new master copy and worked straight from that. Of course Bandcamp gives you the option to download in the format of your choice, so if you want to have high quality wav files of my badly recorded nuggets then you can! As ever it’s pay what you like. But I like it when you pay. This entry was posted on May 17, 2011 at 09:23 and is filed under PWL News, Releases. You can follow any responses to this entry through the RSS 2.0 feed. You can leave a response, or trackback from your own site.